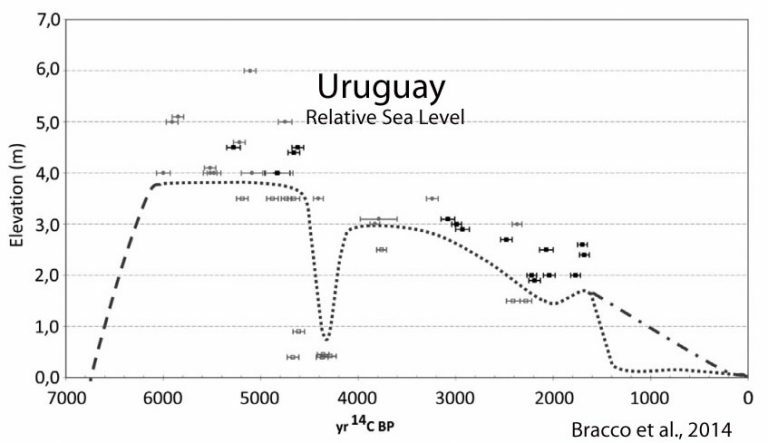 According to the accepted (IPCC) formula for calculating the contribution of ocean warming (thermal expansion) to sea level rise upon reaching equilibrium, every additional degrees Celsius of surface warmth yields about 0.4 meter (0.2 to 0.6) to global sea levels. 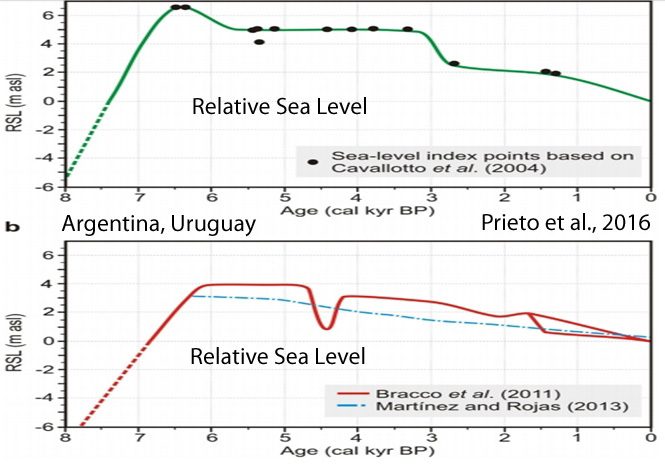 Moore et al., 2013 “The equilibrium sea level change from thermal expansion alone has been estimated to be ~0.2–0.6 m/°C” (Meehl et al., 2007b). 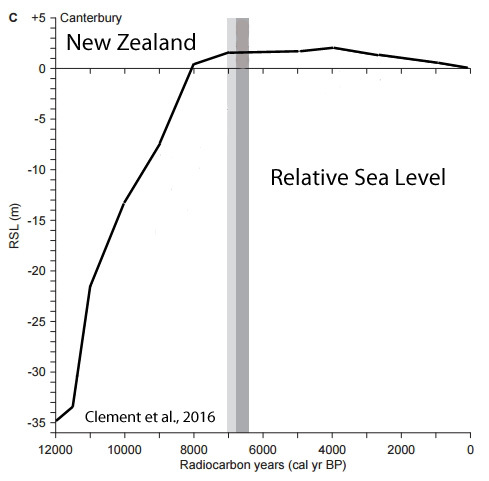 Considering that much of the globe had sea levels that reached or exceeded 2 to 4 meters above present during the Early to Mid Holocene (~10,000 to ~5,000 years ago), a conversion of 0.4 m/°C (from thermal expansion alone) would indicate that surface temperatures were at minimum 5°C warmer than now during the first half of the Holocene. 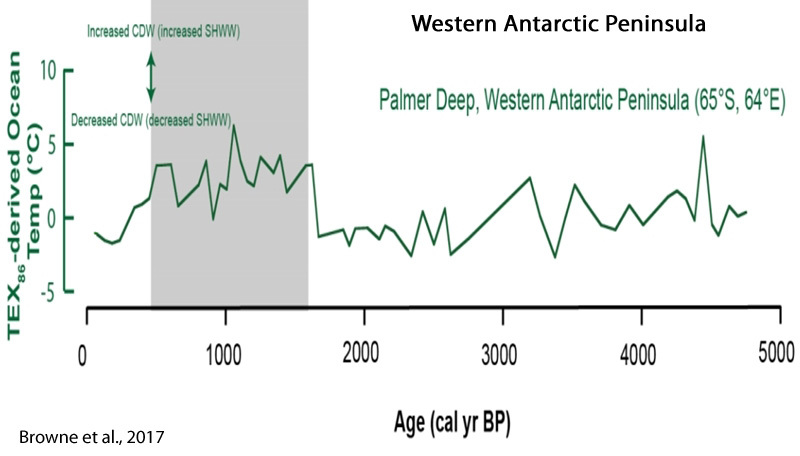 There are many paleoclimate reconstructions of surface temperatures that substantiate such high levels of warming during this period (illustrated below). 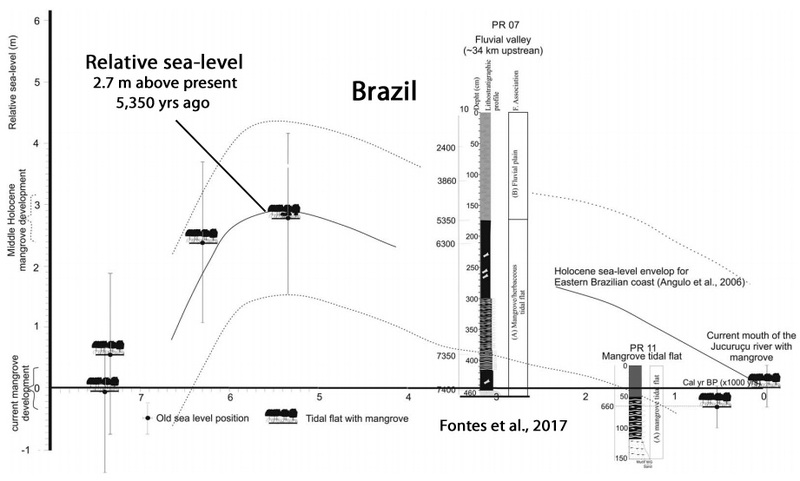 It should be noted that during the Early to Mid Holocene, Earth’s CO2 concentrations were only hovering around 260 ppm to 265 ppm – about 140 ppm lower than today’s values (over 400 ppm). When we consider that 93% of the Earth’s heat is contained in the oceans, which is symbiotically connected to sea level rise and fall via thermal expansion, we can affirm that both surface temperatures and sea levels can and do rise and fall without any meaningful contribution from the atmospheric CO2 concentration. Therefore, it can be concluded that other internal mechanisms, and not CO2 concentrations, are the driving influence impacting both surface temperatures and sea levels. It’s worse than we thought!! We are all going to drown/fry/starve/freeze/get blown away/die of thirst if we don’t stop emitting CO2 NOW!! SebastianH you were right all along. 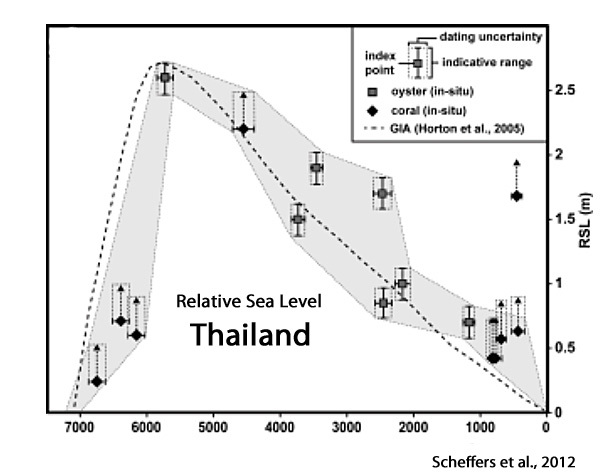 I see that at any point in time across the globe the actual climate effects (SST, sea level variations) though coordinated are not synchronized. Some much for homogenized data across large areas being meaningful. Yes, just like today. The Arctic was cooling for 50 years (1940 to 1990) as Antarctica was warming (1950s to 1970s). In recent decades, those trends have reversed, with Antarctica and the Southern Ocean SSTs cooling as the Arctic warms. 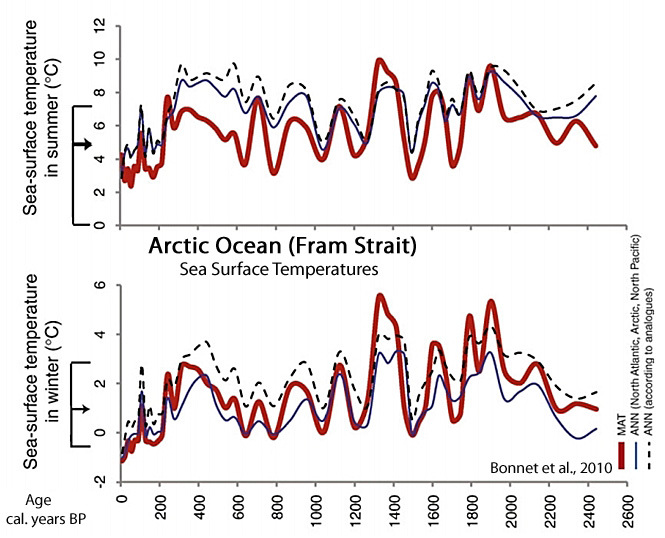 Arctic Canada hasn’t warmed in the last 150 years. There has been little to no warming in the Himalayas, New Zealand, Chile, Patagonia, the Arabian Sea for the last several hundred years. The global oceans have only warmed by 0.09 C (less than 1/10th of a degree) since 1955 in the 0-2000 m layer. 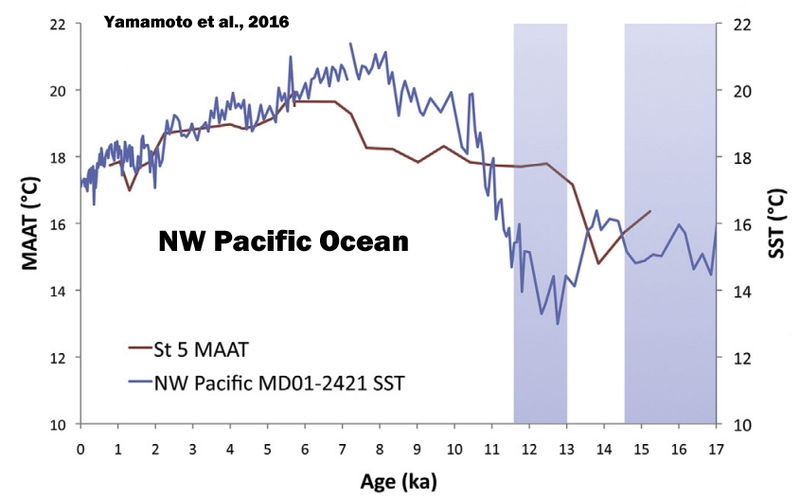 During the Medieval Warm Period, the (0-700 m) oceans were 0.65 C warmer than today, and temperature fluctuations in the 0-1000 m layer would reach 2 degrees C in 200 years, which is 6 times the rate of modern times. 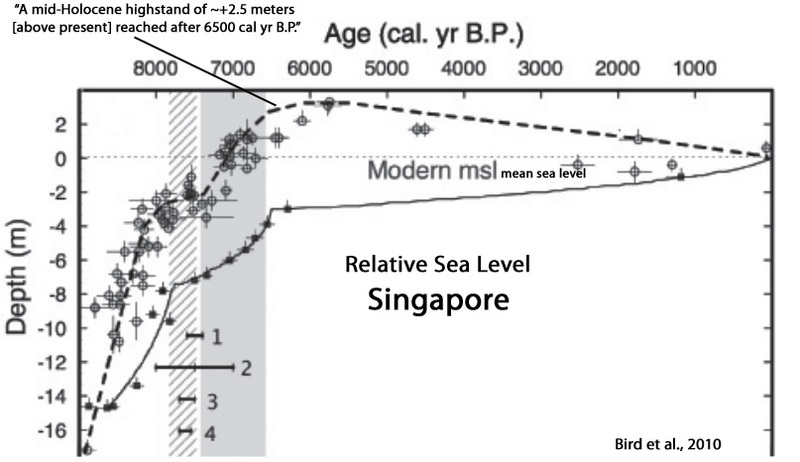 With regard to sea level changes, seas have risen at a rate of 0.17 of a meter per century since 1900. 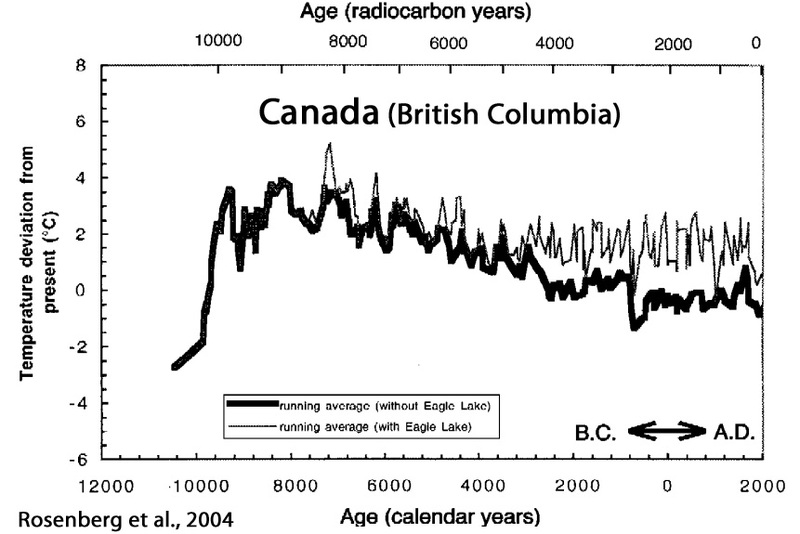 Compare that to 4-6 meters per century earlier in the Holocene, when CO2 concentrations were both low and stable. 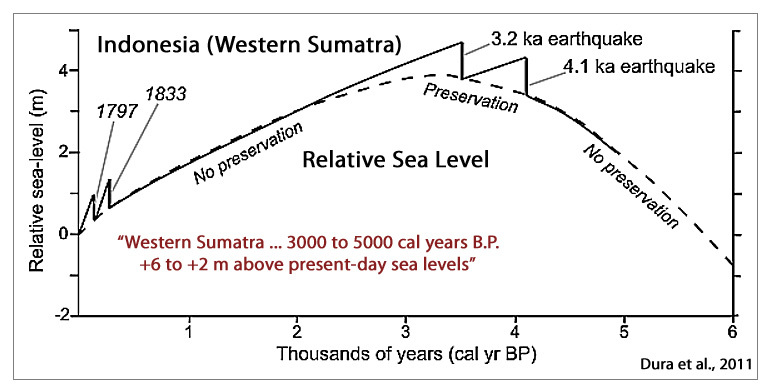 During the last interglacial (~125 kya), sea levels have been assessed to be 20 meters higher than present. 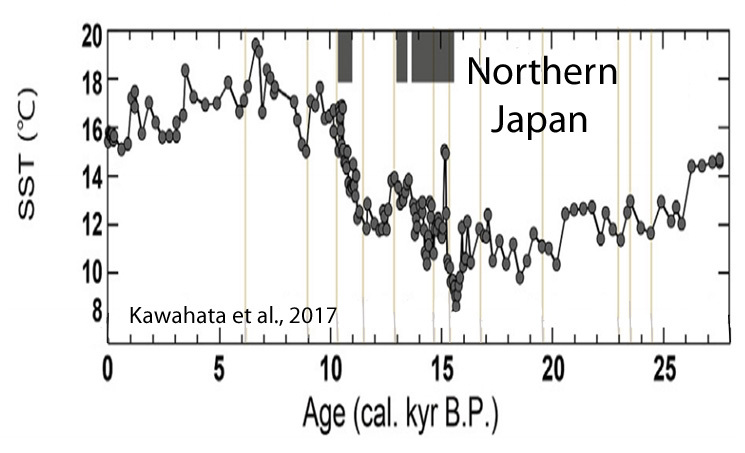 During the Pliocene, when CO2 levels were lower than today, Arctic temperatures were 19 degrees C warmer than they are now. Somehow, polar bears survived. In sum, nothing unusual is happening today relative to the past temperature trends or in the context of natural variability. A very interesting and informative article. Thank you Kenneth. Your salient points are correct even if my contention of minor error is correct. 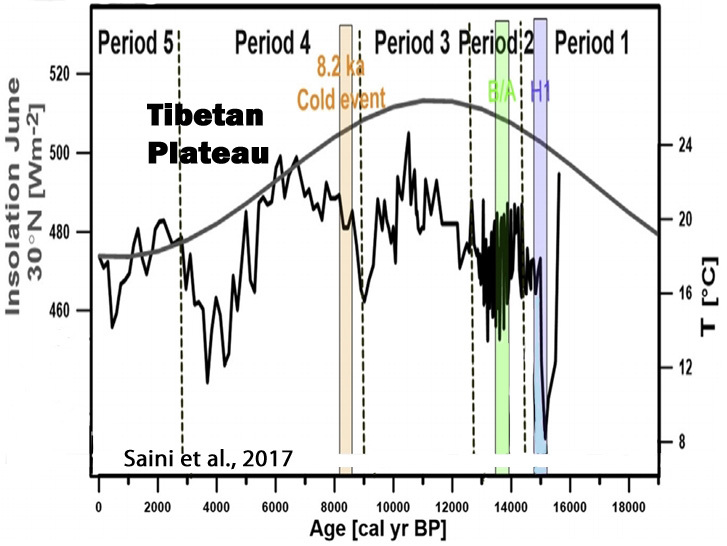 I contend that the reliance on ice cores to estimate ancient CO2 concentrations is improper so your statements of CO2 levels are questionable. Maybe you could give us one your collections of works that show my contention. It would include Jaworowski and Segalstad on the ice core problems and Wallace on stomatta evidence of higher CO2 in the earlier Holocene and Beck on higher CO2 by chemical analysis more recently. I’m not a very good researcher and I bet you would find a lot more material along these lines. Thank you Kenneth. Your salient points are correct even if my contention of minor error is correct. 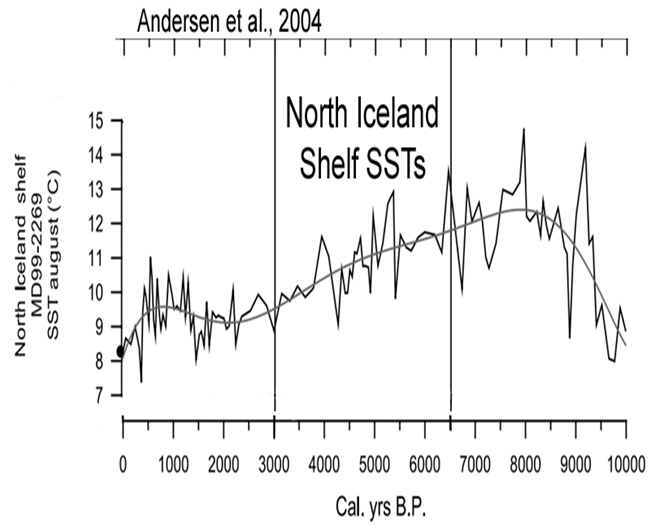 I contend that the reliance on ice cores to estimate ancient CO2 concentrations is improper so your statements of CO2 levels are questionable. Quite fair, DMA. 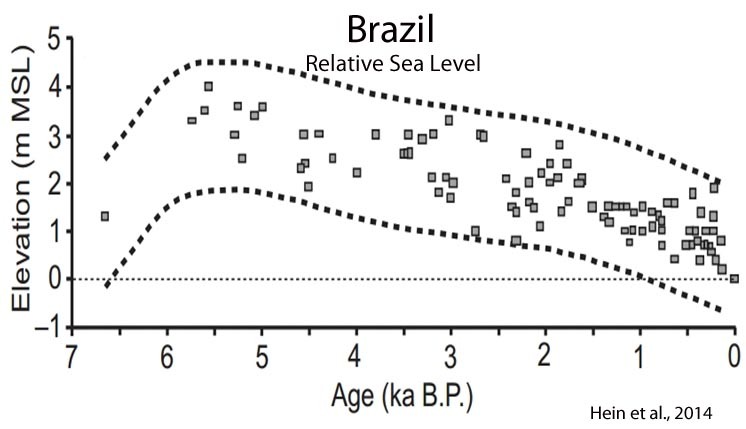 I only use the “conventional” values for Holocene CO2 concentrations here because they, in this case, further establish that CO2 concentrations are not drivers of temperatures and sea levels even using “accepted” CO2 values. Until 1985, the published CO2 readings from air bubbles in pre-industrial ice ranged from 160 to about 700 ppmv, and occasionally even up to 2,450 ppmv. After 1985, high readings disappeared from the publications. By the end of the 18th century eminent scientists explained the climatic changes on the basis of temperature and the ensuing glacial retreat. This disturbing observation led many prominent scientists to send air balloons equipped with special devices to trap air from the lower atmosphere in order to measure CO2 concentrations. Ninety thousand (90,000) measurements were carried out at 138 locations in 4 continents between 1810 and 1961. 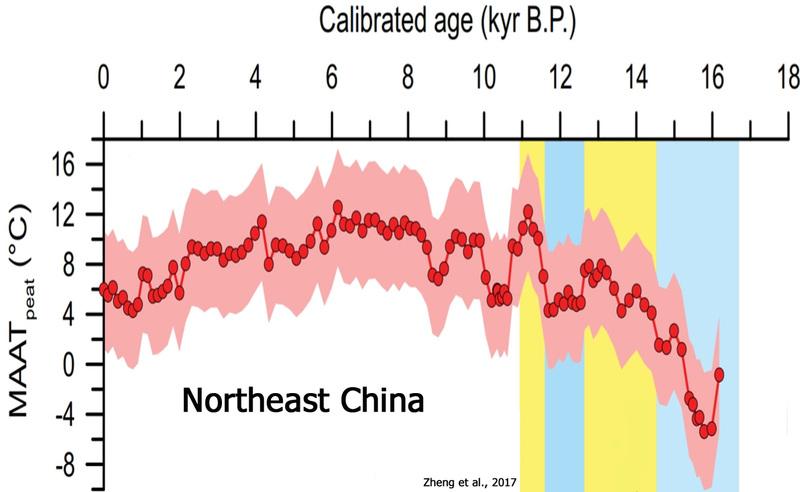 The data indicated that atmospheric CO2 concentrations, during the 19th century varied between 290 and 430 ppm (with an average of 322 ppm for the pre-industrial period). For the 20th century, the average concentration is 338 ppm when combined with comparable CO2 measurements carried out by Mauna Loa Observatory, Hawaii, USA (1958- 2000). Measurement precision is ±3%. 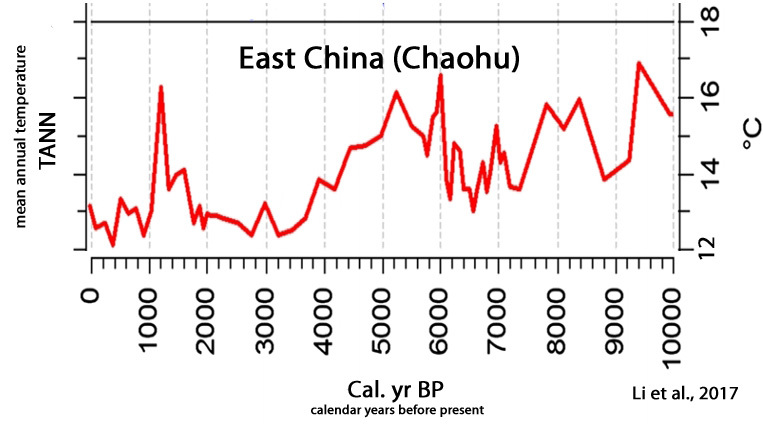 As far as CO2 concentration in the air’s atmosphere is concerned, it has been well documented that during the Holocene Epoch there is a substantial time lag between maximum temperatures recorded during the Interglacial periods and maximum CO2 concentrations in the atmosphere. Moreover, the same time lag is documented between 1850 and 1980, where CO2 concentrations in the atmosphere lag behind the increase of temperature for more than 100 years. A parallel increase of CO2 concentrations in the atmosphere and temperature increase is observed only between 1981 and 1995. No correlation is seen thereafter. The divergence is substantial from 2003 to the present where CO2 concentrations are increased while temperatures are decreased. It is more than unsettling to have my (naive?) 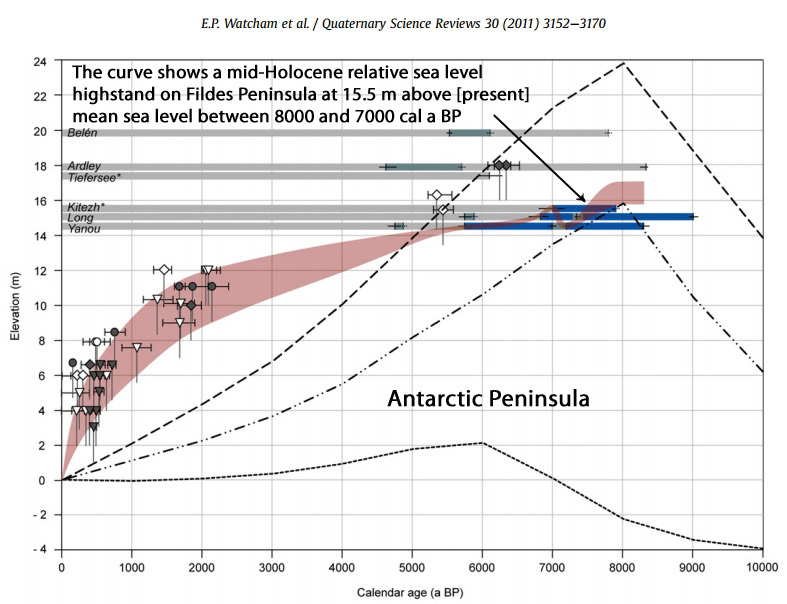 trust in Antarctic ice core studies challenged. How bad is it? Do the studies need to be redone or is the problem “Adjustments” by the Climate Mafia? How do you rate these papers? The problem is “consensus” science. Only the ice core values of the past that are acceptable to the authorities, or the overseers of “truth”, will be allowed to stand. Beck (2007) found out what happens when presented his findings on CO2 concentrations (that reached well into the 400s ppm during the 19th century) based on 100s of chemical records. He was excoriated. A “consensus” decision was made in the mid-1980s to reject CO2 values above 280 or 290 ppmv for the pre-industrial era, even though ice cores routinely revealed values that ranged into the 500s, 600s, and 700 ppmv. All the high values were rejected as “incorrect”. 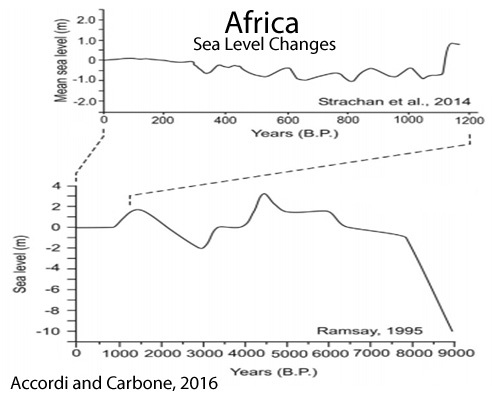 The low ones were kept, as those aligned with the assumption that humans are the cause of CO2 concentration rise, and not fluctuating ocean temperatures that release more or less of their vast stores of CO2. 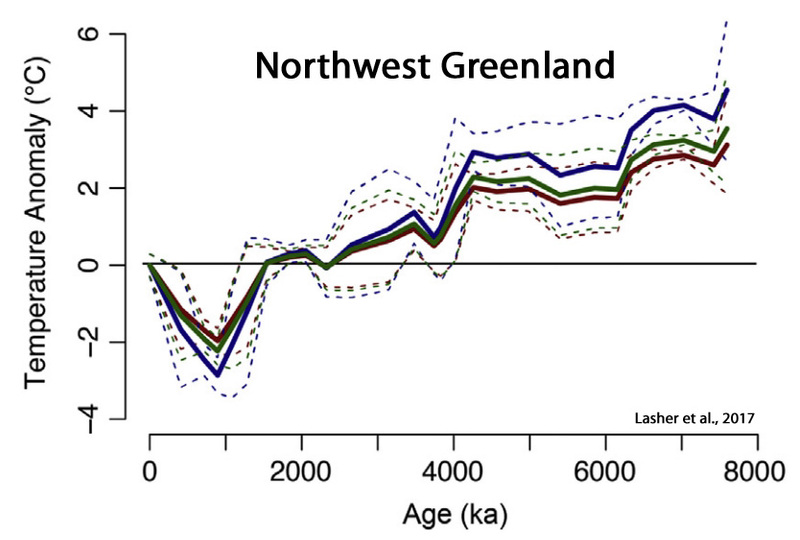 In about ~6,000-year-old ice from Camp Century, Greenland, the CO2 concentration in air bubbles was 420 ppmv, but it was 270 ppmv in similarly old ice from Byrd, Antarctica. … In the air from firn and ice at Summit, Greenland, deposited during the past ~200 years, the CO2 concentration ranged from 243.3 ppmv to 641.4 ppmv. In few fields considered to be science-based has there been such a high degree of polarization and refusal to consider alternate explanations of natural phenomena as in climate change at present. The scenario seems to be that between 1985 and 1988, a decision was made to present pre-1958 CO2 concentrations with no humps or dips and to proclaim a pre-industrial level of 280 ppm. Compared with the so-called pre-industrial levels of 280 ppm, a level of 410 ppm was found in 1812, rising to 450 ppm in 1825. 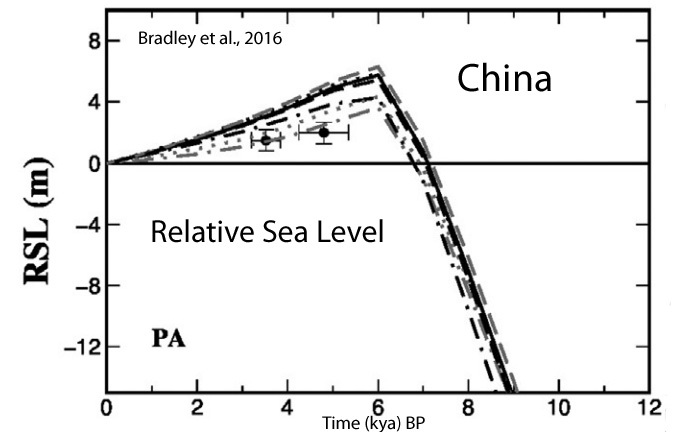 There were levels of 370 ppm in 1857, and 4 sets of measurements gave 350–415 ppm around 1940 (Figure 10). From 1870–1920 values remained within 295–310 ppm. From 1955–1965 the values were 325 ppm. Beck chose the most carefully done assays for this graph. One was from Poona, India. An effort not described by Beck was one of 350 determinations near Point Barrow, Alaska, from 1947–1949, with a mean result of 420 ppm (Hock et al., 1952). The CO2 levels found at Mauna Loa range from 315 ppm in 1957 to 385 ppm in 2007, a period of 50 years. They are similar on Antarctica, showing good mixing of the atmosphere. Since there was a bigger rise from 312 to 415 ppm from 1927–1944 (27 years), shown by chemical assays as described above (Figure 10), there should be no reason for alarm at present. The start of the infrared data in 1958 showed a CO2 concentration that was 12 ppm lower by NDIR assay than the best chemical data of the period. The chemical data are very consistent with each other. This discrepancy has never been resolved. 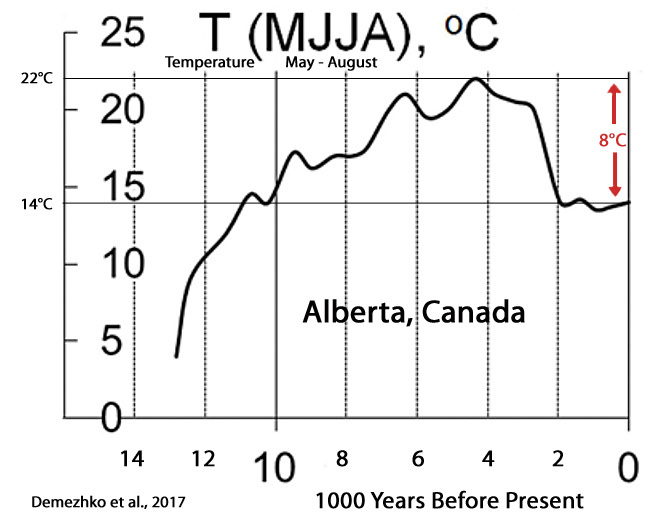 From 0–60° north, the period from 1905–1940 showed about 1 °C of warming, then steady or dropping temperatures. 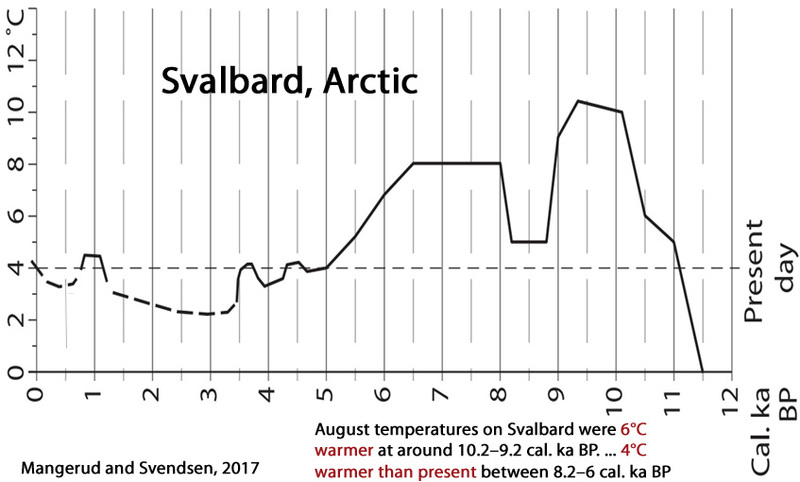 The 60–70° north record showed about 1.8 °C of warming from 1922–1960, with sinking temperatures thereafter (Kushnir, 1994). 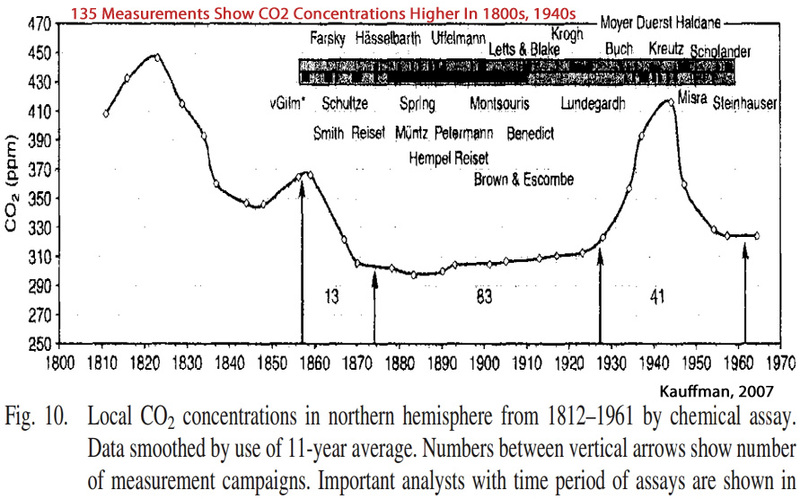 This is the reason why the chemical assays registered a large increase in atmospheric CO2, from 295 ppm in 1885 to 440 ppm in 1944 (Figure 10). Ocean cooling of ~0.6 °C from 1940– 1970 (Kushnir, 1994) brought CO2 levels down for a while to 325 ppm from 1955–1965 (Figure 10). 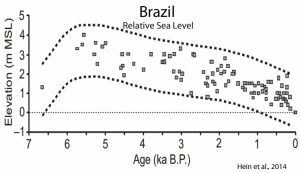 Ask local Aborigines in North Queensland about sea level rise many years ago. Their folklore says the sea rushed in over the flats which are now the Great Barrier Reef. If you work it out it encroached at up to 20 kms per year. They thought it was a giant stingray flapping its fins that caused the water to rush in so fast. The amount of radiant heat hitting the earth from the sun daily is relatively constant. The radiant heat lost daily by the earth thru black sky radiation is constant since absolute zero is constant. The amount of heat gained by the earth’s surface depends on the surface area of the earth covered by water relative to that covered by land. Land area absorbs a larger percent of the radiant heat relative to the water area since the surface of the water reflects a percentage of the radiant heat back to outer space. The daily access heat, or loss of heat, is transferred to the oceans thru conduction and convection where it works its way to the poles and it freezes water adding to the polar ice caps or melts the polar ice caps thus keeping the temperature of the oceans, thus the earth, relatively constant. As the polar ice caps grow or melt, the surface area of the earth covered by land relative to that covered by water changes. This is the definition of global warming. That radiant heat absorbed by oceans and land masses is transferred to the atmosphere thru conduction and convection. When it is winter in one hemisphere it is summer in the other and the same with spring and fall. I would think the average temperature of the lower 5,000 feet of the atmosphere changes about 10’F to20’F each day. This probably takes more heat than man has added to the earth in the last 50 years. That heat man adds to the atmosphere each day is radiated to the black sky and the infinitesimal amount left helps melt the ice during global warming, should be called Global Defrosting, . The scientists have taken core samples of the polar ice caps and know how close we are to the ice left at the beginning of the last ice age. That is how close we are to the end of global warming or we have already begun global cooling, should be called global ice making. According to the Antarctic ice core we began the new ice age about 11,000 years ago. Absolute Zero is -459.68’F and the surface temperature of the sun is between 7,300’F and 10,000’F. If we could go back in time 12,000 years, the end of the last ice age, we would probable see that the average daily temperature of the earth was in the mid 60’F as it is today. You must understand the amount of heat gained every 24 hours is almost equal to that lost during the same 24 hours. Angle of the earth’s axis is 23.5’. The above in simple English. The average surface temperature of the earth is 63.5’f. The heat loss to black sky radiation every 24 hours is constant. The average radiant heat striking the surface of the earth is relatively constant. Because the sun is an active star the average temperature will change over centuries. As the surface area of the earth covered by water increases, the more radiant heat is reflected back to the black sky increases. When the daily radiant heat gained by the earth from the sun in 24 hours is less than that lost by black sky radiation we will begin ice making. Looking at the ice core from the Antarctic we can see that the earth began the new Ice Age about 12,000 years ago. The Weather Channel just had a piece of a very large section of ice is about to break off a peninsula in the Antarctic. Could this be because of the fact that 12,000 years ago the earth switched from Global Ice Melting to Global Ice Making. Since then the Ocean levels may have dropped a foot and the ice has risen around 600’ in the Antarctic. It seems like that would be a tremendous amount of leverage attempting to break off that ice. 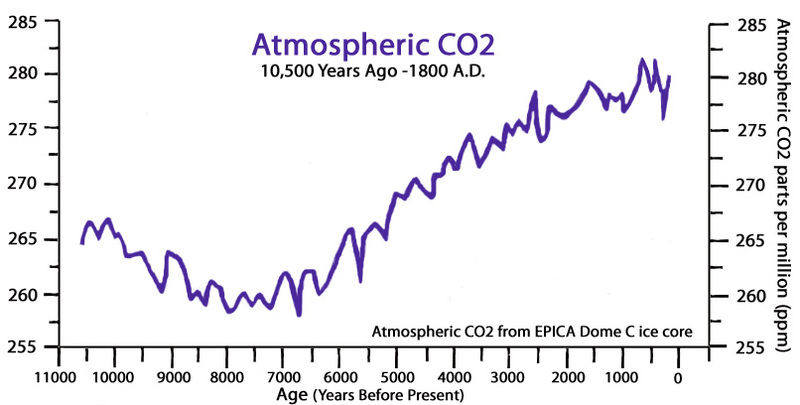 The Arctic ice core chart also shows the top 500’ is the beginning of the Industrial Revolution, thus the increase of CO2 rise in the atmosphere. 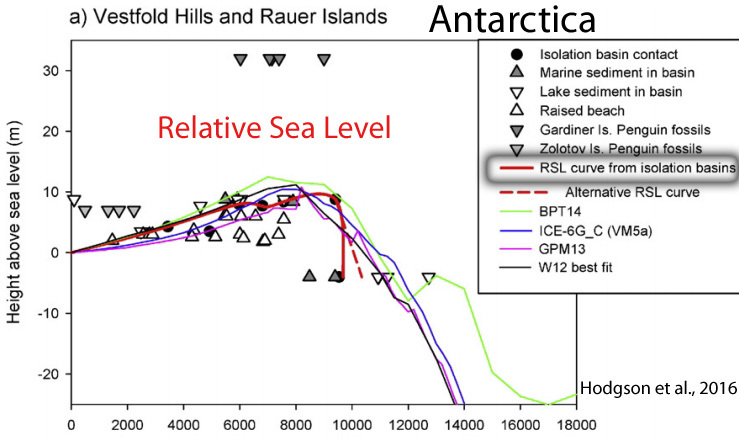 The chart also shows that as the ocean level drops the CO2 level in the atmosphere drops. This is because the land surface area grows, thus the green foliage increases, thus the photosynthesis, which is how nature removes the CO2 from the atmosphere, lowers the CO2 level. 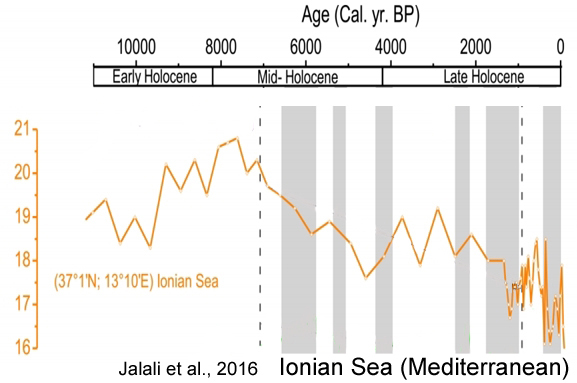 Oceans were about 400’ lower than they are now at the peak of the ice age and global ice melting began. 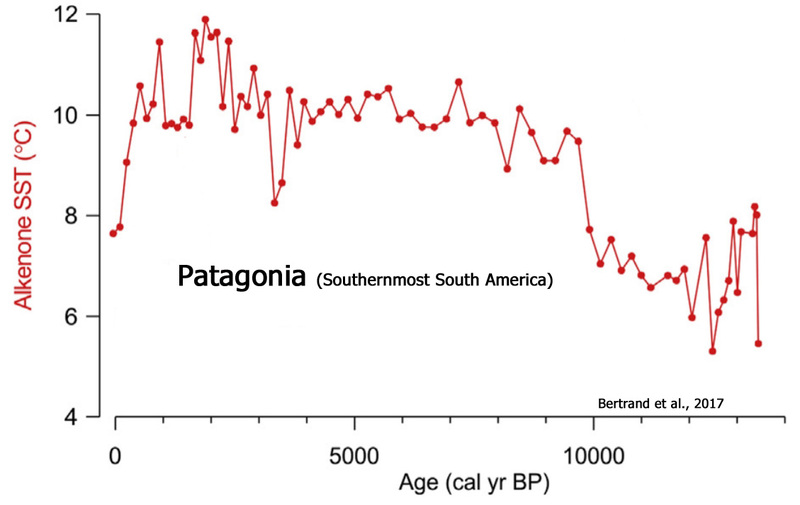 The last ice age lasted about 120 thousand years. That means it took about 60 thousand years to melt the ice, thus the oceans rose an average of 6.67 feet per thousand years.